Tools of the trade are important. It's amazing how you can do a much better job with the right tool. 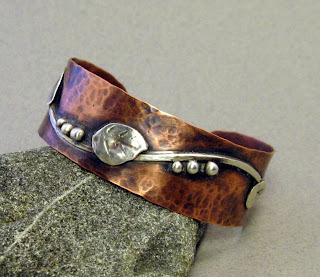 Last week my husband bought me a new torch for soldering the jewelry pieces. I mentioned that I would like a smaller torch tip, thus giving a smaller flame. What I had been using was the tip he had for doing some heavy duty welding. I would periodically drop a line that I am working on small pieces, not a trailer hitch. So last week, when he went to fill my oxygen/acetylene bottles, he came home with new torch tips. Great! Now I won't melt my precious silver and destroy my hard work, not to mention the cost of ruined silver. So below is one piece I did yesterday with my new set of tips. 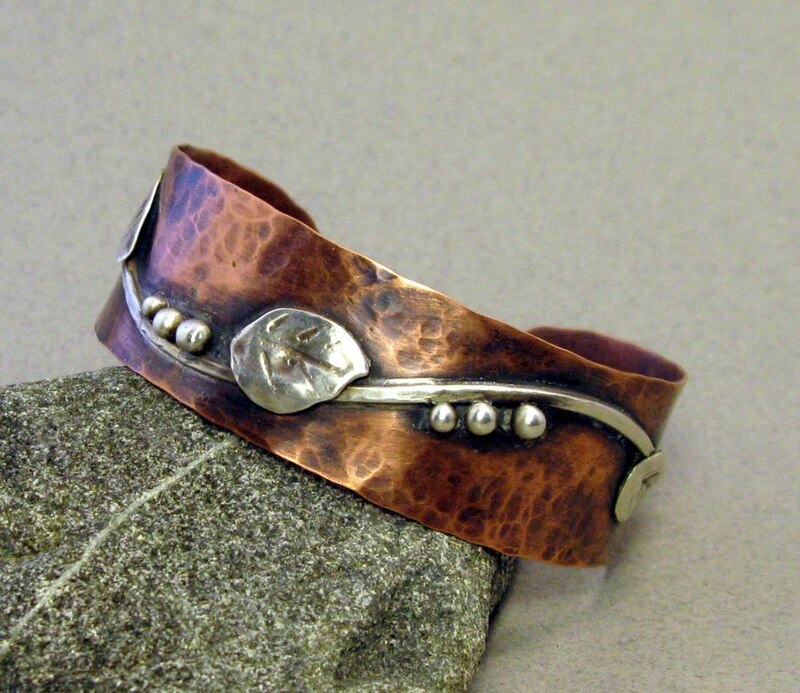 Hammered copper cuff with sterling silver applique.